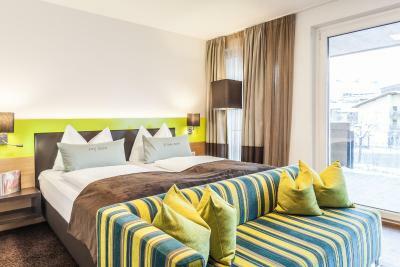 Lock in a great price for Lederer's living – rated 9.5 by recent guests! As always words can’t express enough how marvelous our stay was, would love to stay in all the year around! 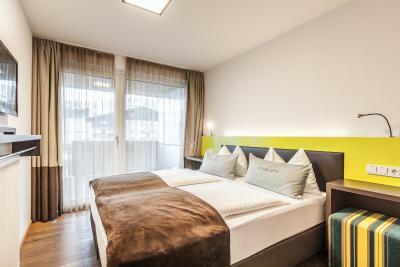 Spacious room, clean, huge comfortable bed, balcony with amazing view. There's a refrigerator, espresso machine and a water heater. Excellent room service. The Staff are very nice. Wonderful stay ,very quit area , in front of river, helpful-smile staff , cleanliness and verity of breakfast. Location and facility were superb. Owner was also friendly. Lederer's living This rating is a reflection of how the property compares to the industry standard when it comes to price, facilities and services available. It's based on a self-evaluation by the property. Use this rating to help choose your stay! 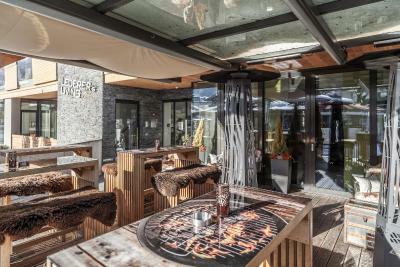 One of our best sellers in Kaprun! 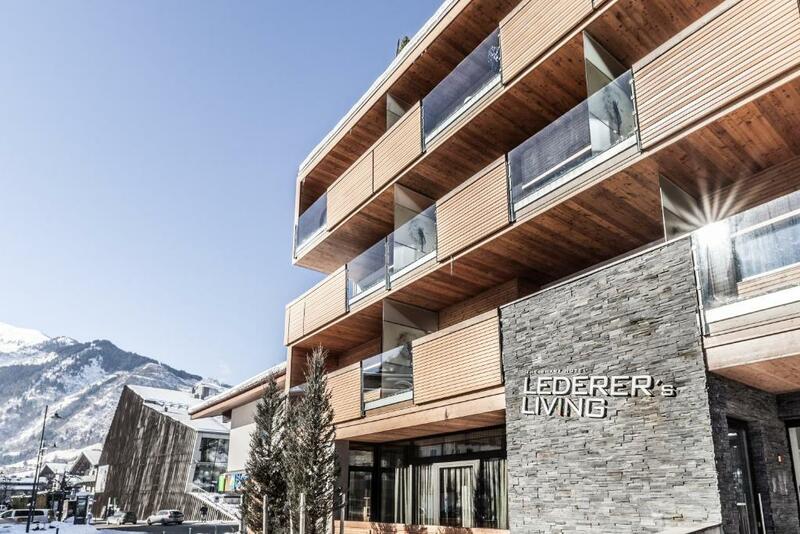 Lederer’s living is a modern design hotel in the center of Kaprun. 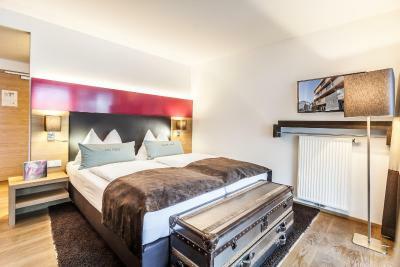 The property features a restaurant serving a buffet breakfast and all guests enjoy free admission to the Tauern Spa Kaprun. 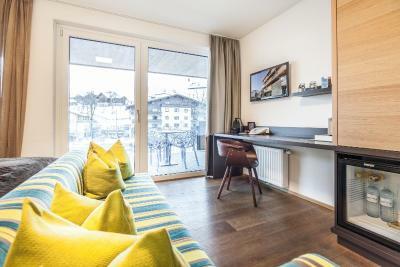 The ski bus to the Kitzsteinhorn and Schmittenhöhe ski areas stops only 250 feet from Lederer’s living. Ski equipment can be stored and ski passes can be bought on site. 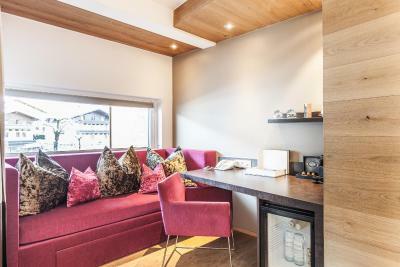 After a long day outdoors, guests can relax in the penthouse sauna overlooking Kaprun, in the lounge with a fireplace and on the sun terrace. 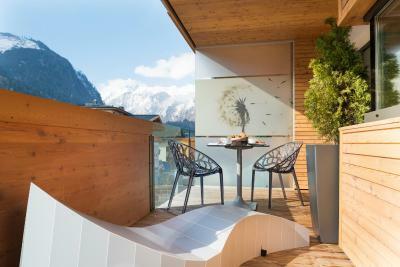 All apartments and rooms offer panoramic views of the surrounding Alpine landscape from the balcony. 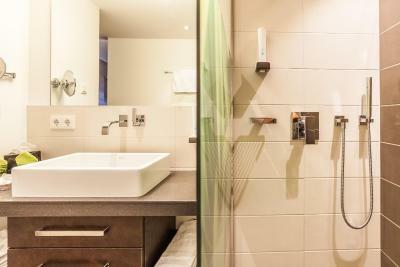 An LCD TV with cable channels, espresso machine and seating area are found in all rooms. 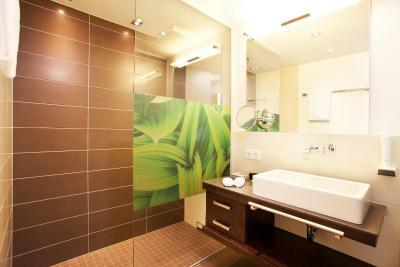 The private bathroom has a bath or shower and comes with a variety of bathroom amenities. The hotel offers free Wi-Fi and free use of its underground car park. Packed lunches and breakfast in the room can be organized. 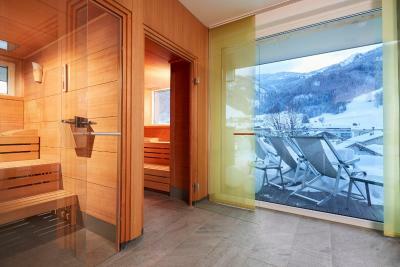 The Tauern Spa and cross-country ski runs are 5 minutes’ drive from the hotel. Ortsmitte Bus Stop is a minutes’ walk away. 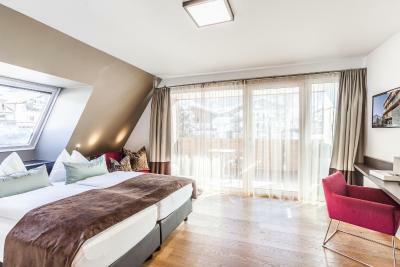 This property also has one of the top-rated locations in Kaprun! Guests are happier about it compared to other properties in the area. 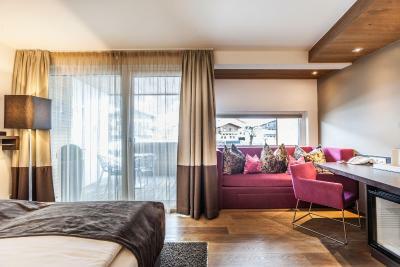 This property is also rated for the best value in Kaprun! Guests are getting more for their money when compared to other properties in this city. 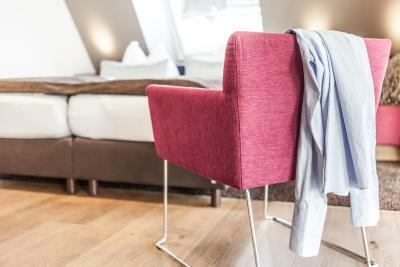 When would you like to stay at Lederer's living? This room offers a balcony with view. 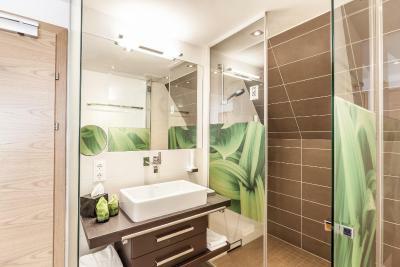 The bathroom features a tropical-style shower. Please note that the maximum occupancy of this room is 3 people, 1 extra bed is available on request. 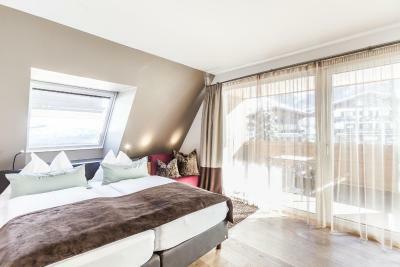 This room consists of two bedroom with a large double bed in each and features views of the surrounding Alpine landscape from the balcony. A Nintendo Wii is provided in the room. Please note that the room rate is based on 3 People or 2 adults and 2 children up to 12 years. 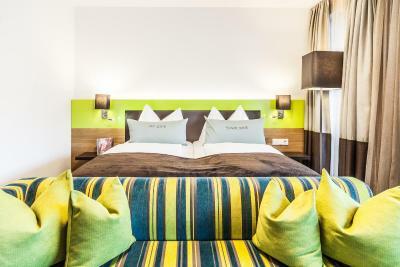 Please note that extra beds are not possible in this room type, the maximum occupancy is 4 people. 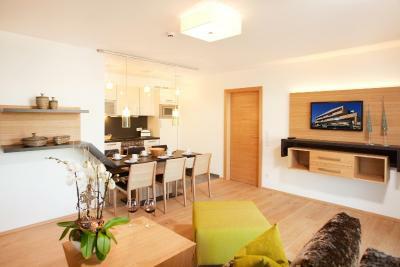 This spacious apartment features views of the surrounding Alpine landscape from the spacious balcony. 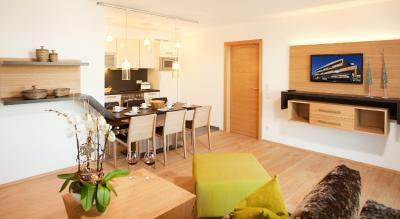 It is fitted with a fully-equipped kitchenette and dining area. 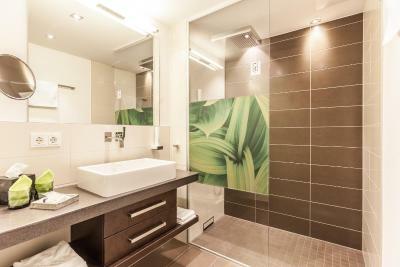 There are 2 private bathrooms with a bath or shower. The rate is based on 4 people, maximum occupancy of the room is 6 people on request and at a surcharge. Please note that the final cleaning fee is waived if the apartment is left in a satisfactory condition. Please note that the maximum occupancy of this room is 2 people, extra beds are not possible in this room type. 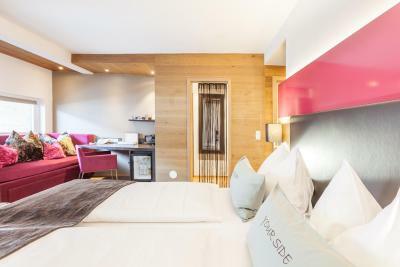 This suite consists of 2 bedrooms with a kingsize double bed in each bedroom. 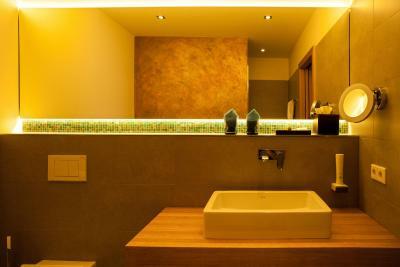 It offers a balcony and a private saune with wellness-shower. Please note that extra beds are not possible in this room type, the maximum occupancy for this room is 4 people. House Rules Lederer's living takes special requests – add in the next step! Lederer&#39;s living accepts these cards and reserves the right to temporarily hold an amount prior to arrival. Lederer's living accepts these cards and reserves the right to temporarily hold an amount prior to arrival. Spotless, beautiful and comfortable design. Friendly staff, amazing breakfast. 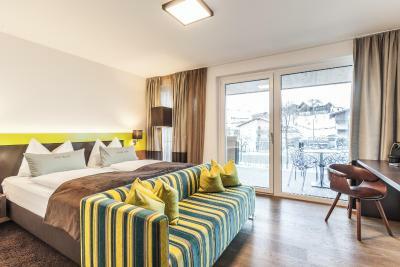 The best part is the unlimited access to the Tauern Spa in the room price. Great place with very friendly and helpful owners and all stuff. Very comfy rooms and great spa. 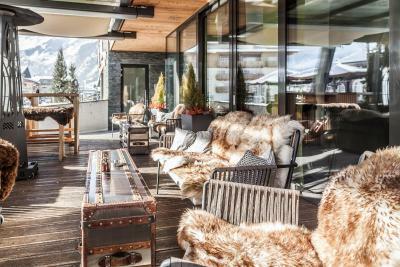 The terras outside, the location is perfect and the atmosphere in the whole hotel is relaxed and easy. perfectly decorated with an eye to detail.. very good breakfast. Great location. 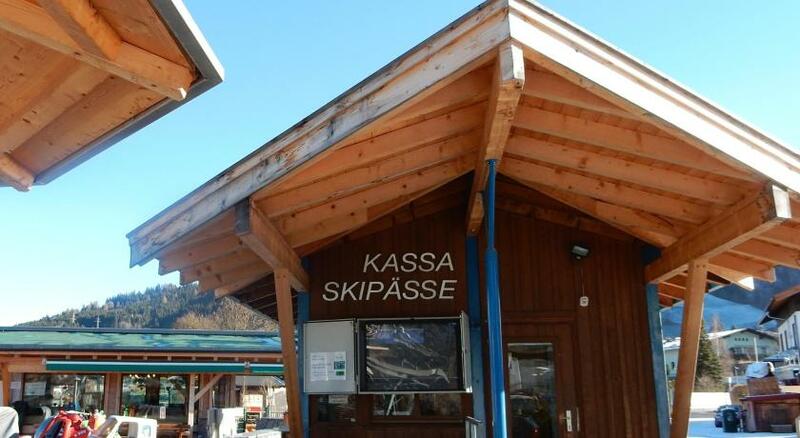 The new ski lift will be completed in December 2019; there will be no more bus rides to Kaprun. Not really dislike, but be aware the underground parking spaces are extremely limited in size, so if you are driving anything like a Land Rover Discovery, you will find it challenging to park. the staff really helpful and kind.. Ski Room with stairs, but tiny detail. Great Breakfast, Great Room, Great Hospitality. Owners and staff were friendly and helpful. Location nearby to Tauren Spa with free entry provided by the accommodation. Central location = a bit of noise from apres ski next door. Very nice, new, cosy hotel. Wonderfull staff! Excellent breakfast.